The Work-Life Balance Course is a self-development programme that allows students to work through various activities and exercises focusing on stress reduction, diet, relationships and personal improvement in areas such as family and career. This course is an excellent self-assessment resource for individuals and is similar to an executive coaching programme but at a fraction of the price. The range of subjects is comprehensive, and it is the only programme to bring all this content together in one place. This course can be studied as a standalone course, or can be studied alongside Online Business School university level courses. The fee for enroling onto this course is £399. Students can enrol onto this course at anytime. There is approximately 100 hours worth of learning material included. Students will have access to the study material for five years. 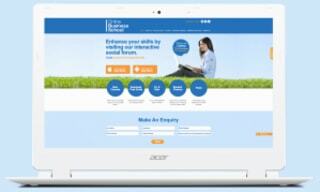 This course is assessed by a series of self assessment exercises. Unit 1 Getting what you want from life. 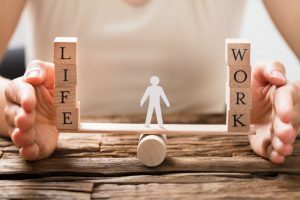 The aim of this module is to familiarise you with tools and techniques that will help you to assess your own work life balance. It will also enable you to identify and create key personal goals and how to achieve them. It will teach you to manage your time more effectively and positively and you will learn key self-improvement and positive thinking techniques. Unit 2 Staying happy and healthy. The aim of this module is to introduce you to a range of tools and techniques to help you assess your personal health and where you can take positive action to improve it. This includes eating habits, diet and nutrition and physical fitness. It will also help you improve time management and various relaxation and holistic therapies to improve health and performance. Unit 3 Being safe at work. The aim of this module is to introduce you to a range of tools and techniques that will improve your knowledge of health and safety legislation and practices. It will teach you how to work more safely and protect your own health and wellbeing, by taking practical steps to deal with issues such as bullying and alcohol/drug abuse in the workplace. Unit 4 Understanding yourself and others. The aim of this module is to introduce you to a range of tools and techniques that identify your own preferred team style and preferred learning style. This is done by understanding a condensed form of MBTI. You will also begin the process of recognising your own Enneagram style and developing your emotional intelligence. The aim of this module is to introduce you to a range of tools and techniques so you can take control of your communication style so you feel able to communicate clearly and authentically, in all kind of situations. It will also teach you to take control of dealing with conflicts, and the ability to adapt to changing circumstances. It will also allow you to take control of your home and work environments on a day to day basis, so they are pleasant and harmonious places in which to work and live. Free CV Writing help on completion of the course. This course is most suited to individuals who are at least 16 years old.